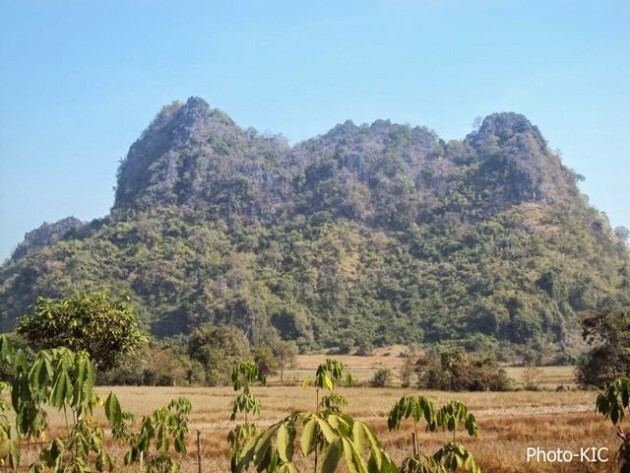 Residents of Mi Kayin village, Hpa-an, Karen State, are once again united to oppose a proposed cement factory planned to be built near their village by the Myanmar Ji Dong Cement Company Limited. Saw Nyan Win, a Mi Kayin villager said in an interview with Karen News that residents are planning to take their opposition to the proposal to build a cement factory to the Karen National Union. Saw Nyan Win told Karen News that residents plan to lobby KNU Brigade 1 officials from Thaton district and cement company officers when they come to meet with Mi Kayin residents at the village monastery at the end of April. Mi Kayin villagers said that they are prepared to oppose the Karen National Union Brigade 1 position in a letter released recommending plans to construct the factory. Karen National Union (KNU) Thaton District Liaison official, Saw Kyaw Myint, told Karen News that under the construction plan – if it goes ahead – the company will provide education, health, job opportunities, water, electricity, road and bridge constructions. Saw Chit Lwin, the Mi Kayin village administrative officer told Karen News. If the cement factory is constructed by the Myanmar Ji Dong Cement Co. Ltd it will have a capacity of 10,000 tons. Residents from Mi Kayin village area including Pawdawmu and Kyain Pawdawmu villages together with more than 1,400 monks have submitted a signed letter opposing the construction project to the relevant government departments on May 17, 2013.